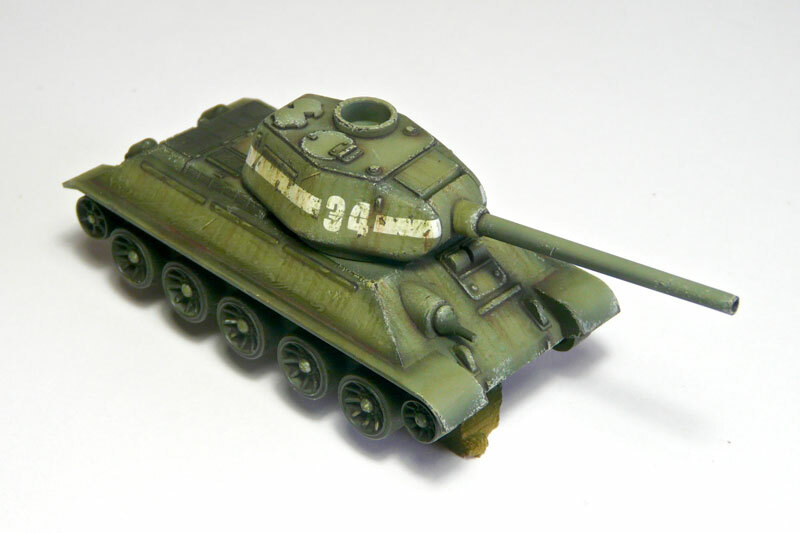 I begin my path in this blog posting something that I’m painting right now: a T-34/85 in 1/72 of Plastic Soldier Company. I haven’t applied any kind of filter. 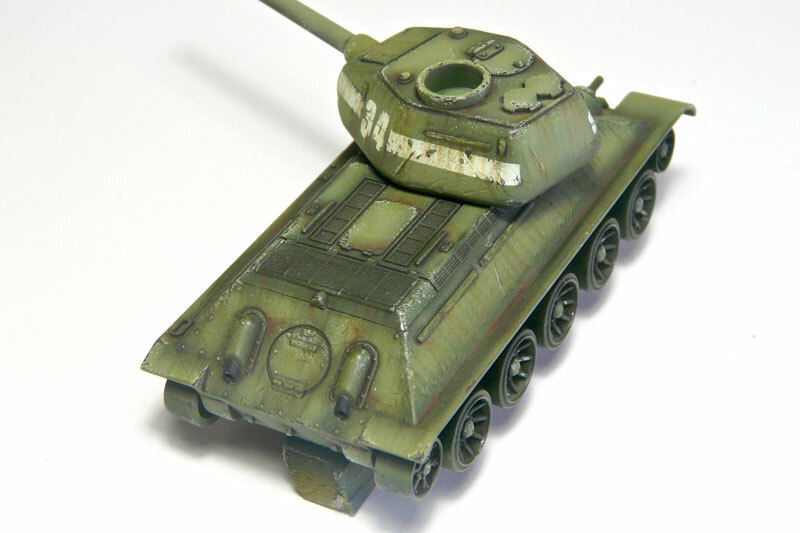 Next to the painting I have done a few scratches and chipping all over the tank, in the most worn surfaces, and some streaks with AK024 Dark Streaking Grime and AK013 Rust Streaks. Two faults with this: one is making all the streak lines the same way, straight down. And the second one and more important: I forgot to clean them up, and the enamel dry too much… when I wanted to clean them, I couldn’t do it… 🙁 So next time I’ll need to revise those concepts and make it better. The only good thing is that some fuel barrels are going to be there, so the ‘prison bars streaks’ will be hidden (more or less). Another mistake is the white stripe in the turret. The chipping product I used must be bad or something like that, as the chipping didn’t occur. Well, NOTHING occur. Then, I tried in other pieces, varying the water quantity, the quantity of chipping product, the time passed between layers, using many tools as scratchers… nothing. The product itself smells nothing and tastes the same, so I think I have a bad item. The next step will be to paint the tracks and the side fuel barrels. I’ll do it in the next WIP step.